Fortnite Season Four is here, and Epic Games has delivered in a big way. After teasing a spectacular comet crash at the end of the previous season, today’s update sees much-loved areas of the map destroyed, new ones added and players bestowed with tonnes of new skins, emotes and in-game items. Dusty Depot, which you may remember as a camper’s paradise in the middle of the map, has taken the full force of the impact. So much so that it’s now an enormous crater known as Dusty Divot. Inside lies what looks like a forensic investigation, with tents and structures set up around a mysterious glowing piece of asteroid. Dotted around the perimeter of the area are small purple crystals called Hop Rocks, which when consumed grant the player a small period of zero-gravity movement. 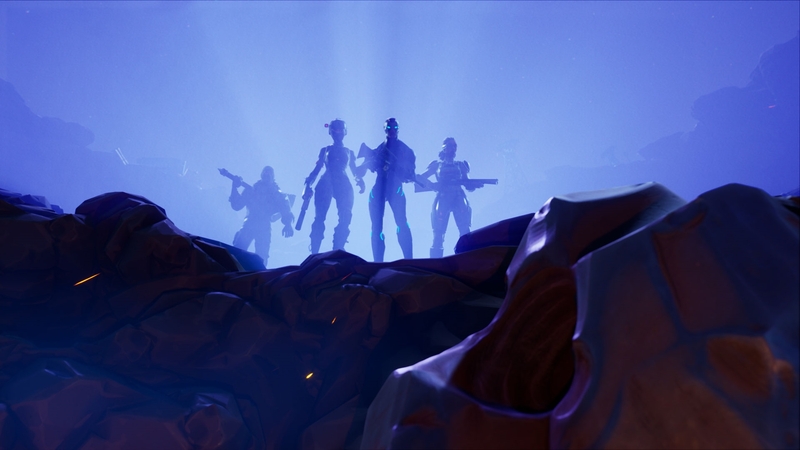 Fortnite’s v4.0 patch also adds new areas to the map. In the rolling hills between Anarchy Acres and Wailing Woods lies Risky Reels, a drive-in movie theater that has been partially destroyed by an asteroid. In fact, the large majority of map locations have suffered some form of impact damage, including a sizeable crater in the center of Tilted Towers. No big update would be complete without new skins and emotes, and today is no different. After numerous threads on Reddit and posts across social media, Epic has added the “Orange Shirt Kid” to the game via the Orange Justice emote. The four superhero skins teased prior to today’s update are also live, allowing players to equip some DC-inspired outfits either via the shop or by unlocking via experience points. Other smaller tweaks include being able to damage structures on the starting island and the removal of the crossbow (RIP). The update is now live across PC, PlayStation 4, Xbox One, iOS and you can read the full patch notes via the link below.